"Mr. Kumar was timely, professional and kept me abreast of the status of my app daily. Even regarding the time difference I could expect an update the same time each day." Petsquare: "Petsquare is a social network that unites in one place all pet enthusiasts. Your children, spouse, vet, breeding companies, grooming providers all of them are here to share the joy of having dog or ca..."
"Good project management and communication!" "Eeatern Peak team is professional, dedicated and easy to work with. I high reccomand working with them and I will sure continue as well." 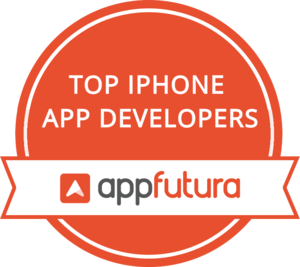 We go the extra mile to keep our iPhone applications development team abreast with latest trends and technologies that constantly throng the iPhone app development software domain through ongoing training. "It was great working together with the team of Nine Hertz and especially project leader Manohar!" "Fluper is extremely professional and it was a pleasure working with them. I appreciate the detailed planning, weekly plannings and timely delivery. I highly recommend fluper for any project ..."
"Very happy with the final product, but more rigour around project milestones and estimated durations are necessary." Melltoo: "Melltoo- Buying and selling social network Melltoo is a user-friendly mobile app which serves as an integrated platform for buying and selling used or pre-owned commodities. The app is a marketpla..."
Custom & hybrid iPhone app development with the use of modern tools and cutting edge designs. "For the budget I had, Intuz put more effort than expected. I’m truly amazed at the outcome, the team I had did an amazing job. It was more than I’ve imagined, and I’ve gotten a lot of ..."
Bulanzi: "bulanzi! is a professional guide to businesses in Turkey. It allows searching for businesses (eg, physicians, industry, lawyers) based on state, city, postal code and name. Businesses are described in..."
"Mobulous Team is very reliable. They have delivered Fabulous work for us. Team is very dedicated and professional. From helping in conceptualization to Detailed Wire frames, UI Design, De..."
"I really appreciate the work from Konstant Infosolutions. Nice team. I would always recommend them to any customer." Ready4S has a great team of iPhone app developers which stay up-to-date with the latest SDK editions and newly launched iOS devices. To develop your iOS application for any iPhone edition will be a pleasure for us. "Ready4S is a great team! Communication and quality of work was at the highest level. My project was finished within timeline and budget. Highly recommended." "The Dev team has been helpful and very professional from the onset, I would recommend them anytime to all that aspire innovation, quality and reasonable cost. I worked with various IT compa..."
We develop amazing apps for iPhones, be it a business application or a catchy game, we can do it well plus on time and budget. "We were glad that we chose Prismetric as our technology partner. They were easy to work with, even being offshore and having never met them. Thank you team Prismetric for your help." AR Showroom: "The way the app works is super simple. You just point it to one of the cars, the app will detect it and then visualize information and specs about that car. As you move around the car, the specific..."
Pricelizer: "Have you ever found something online that you liked, but didn’t buy because the price was too high? Have you ever given someone a last minute gift card because you had no clue what they actually wan..."
"AppsInvo Team is amazing, I Loved working with them, they always give new features to enhance the functionality of application and make it perfect, they will become your Technology Partners ..."
We create iPhone Apps in latest Apple development language - Swift. From iPhone 4 to iPhone X, we can create Apps for every type of iPhone. "We engaged App Knit to develop our application for my startup Hire a Buddy. The expereince have been very pleasant. We are very happy with their response rate and quality of the code. They w..."
"Working with RV Technologies has been an Amazing Experience! I came into the project extremely skeptical, as working with a company that is so far away seems scary. This fear was quickly..."
"Kpis delivered a great mobile app & Website development experience. The technical expertise I required was found in Kpis. Perfect team to work with, their technical expertise is what make..."
"The team at Applify delivered the project on time and also within the budget. I found them on the Internet and they have been very cooperative throughout the process. I am really happy becau..."
With a close eye to every iOS trend, we create iPhone Apps with latest technology. From iPhone 4 to iPhone X, we can create Apps for every type of iPhone. "Gagandeep is committed to her company and also to making sure she helps her customers. She is kind and wants to be sure to give what she promises she will." "BrainMobi's process was very organized, personable, and professional. They get to know you and your project idea, and then quickly provide you with several of the world’s best developers, ..."
"One of the best company which I have ever worked with is Saffron Tech. They are very good in terms of client servicing, giving values to their clients and delivering the projects on time."